The best omelets in Missouri begin with good eggs, delicious meat, and fresh veggies. 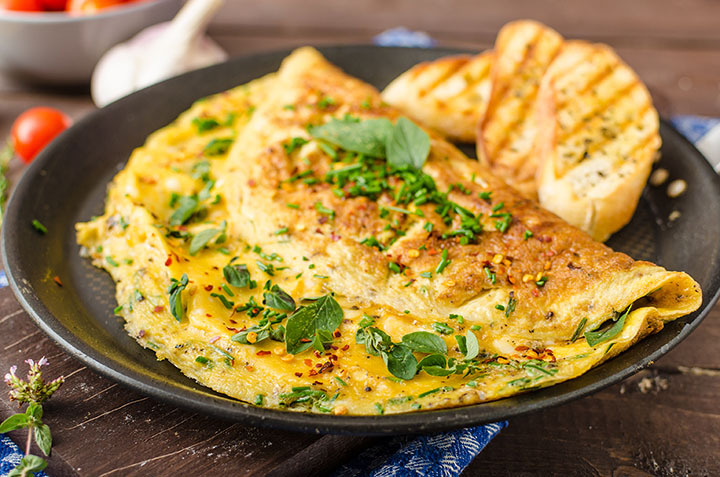 Start off your morning the right way with a hearty omelet that will keep you going all day. Here are our picks for the best places in the Show Me State serving up the best omelets! Breakfast is served all day here at the award-winning Chris’ Pancake and Dining in St. Louis. Chris’ has proudly served the area for over 25 years now with a philosophy of providing “a dining experience that welcomes each guest to be a part of their family.” All of the delicious specialty omelets start with three eggs and are served with either toast or pancakes. Eggct. is all it’s cracked up to be! The regulars will tell you that this place is the perfect spot to start your weekday or a weekend rendezvous. The friendly staff here takes pride in preparing and serving the finest and freshest gourmet breakfasts. The delicious omelets at Eggct. are served with bread and your choice of breakfast potatoes or fruit. You’ll find quality ingredients, delicious food, and unbeatable service at this popular restaurant in Branson. The Farmhouse features a variety of omelets including the Farmhouse omelet, vegetable omelet, and Spanish omelet. Soulard Coffee Garden serves up some of the best omelets in Missouri seven days a week. The omelets here start with three eggs and are served with home fries or a fruit cup. Popular omelets on the menu at Soulard Coffee Garden include the Denver omelet, the Greek omelet, and the Brie Veggie omelet. Whether you’re dining with your family or gathering with friends, Gailey’s is the restaurant for you! This quaint little café was refurbished from an old 1942 drug store so you’ll get a bit of history when you come in to eat. Gailey’s Breakfast Café offers a variety of morning favorites in an inviting, cozy atmosphere. The fluffy three egg omelets are served with hash browns or sweet. Come check out the award-winning Uncle Bill’s Pancake House 24 hours a day, seven days a week! This hot spot has been serving the area since 1961 and is known for having some of the best service in town. The tasty three-egg omelets are served with your choice of three buttermilk pancakes, two biscuits, or toast. Welcome to Kate’s Kitchen and Ronnie’s Restaurant in Gladstone where their goal is to provide you with the freshest ingredients every time. The delicious three egg omelets at Kate’s Kitchen are served with potatoes and toast. Some of the popular omelets here include the brisket omelet, the kitchen sink omelet, and the down on the bayou omelet. The incredible omelets at Hermann’s start with two eggs. Choose between favorites like the Octoberfest German omelet, the Omelet That Jack Built, or the Jumpin’ Jupiter.